Estimates of misidentification and cross-contamination of cells in culture range from 15% to 100% of cell lines analyzed, impacting the validity of a number of scientific findings. Thus, it is crucial to be able to identify a cell line and periodically authenticate its identity while using it in your research. And we have tools for identifying a cell line: we can look at its genome. By analyzing variable regions of the genome, one can generate a fingerprint, or a barcode, of a cell, that allows identification of that cell line by different groups. With the advent of human induced pluripotent stem cells (hiPSCs), pluripotent stem cells generated by reprogramming an adult cell, unprecedented large numbers (thousands) of cell lines are being generated, from normal and diseased individuals, and shared by different research groups. 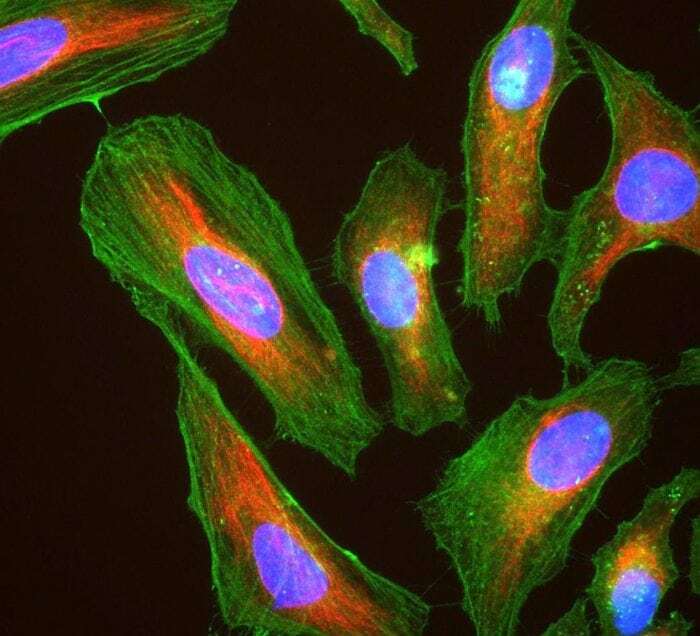 In addition, hiPSC-based research involves extensive culture of many cell lines, increasing the risk of mixing samples, and thus increasing still the importance of cell line identification. However, most articles reporting new hiPSC lines do not address the issue of cell line identification. In order for periodical monitoring of cell line identity to be widely performed, one needs a cheap and fast methodology for genome analysis that provides highly reliable and sensitive results. One such method is the analysis of Short Tandem Repeats (STR). As the name suggests, these are regions in the genome with blocks of a given sequence repeated many times. The number of repetitions in each of these regions varies a lot among people – at a given region (or STR) I may have 10 repeats in one chromosome and 7 in the other, while you may have 5 and 9. Therefore, if one looks at many of these STRs, one can generate a unique barcode that identifies a person, or a cell line from that person. This is actually a broadly accepted method for cell line authentication by cell line repositories. So in our work, we compare several methods for genotyping human cell lines, taking into account cost and the required equipment. We chose one STR genotyping system and used it as part of quality control of a library of hiPSCs from the Brazilian population established in our lab. We show that by looking at 15 STRs spread along the genome, we were able to establish a unique barcode for each of the 35 hiPSC lines. In addition, we identified two discrepancies between the barcode of the cell-donor and the resulting hiPSC resulting from inadvertently exchanged samples – these sample switches would not have been detected otherwise. Our results highlight the importance of hiPSC line genotyping by an in-house method that allows periodic cell line identification and demonstrate that STR is an adequate approach for that. These findings are described in the article entitled, Monitoring cell line identity in collections of human induced pluripotent stem cells, recently published in the journal Stem Cell Research. This work was conducted by Raquel Sarafian, Mariana Morato-Marques, Juliana Borsoi, and Lygia Veiga Pereira from the University of São Paulo. 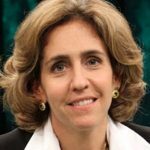 Lygia V. Pereira is a Professor of Human Genetics and Director of the National Laboratory for Embryonic Stem Cell Research at the University of São Paulo. Her research team established the first lines of human embryonic stem cells in Brazil and continues conducting research using stem cells in current drug screening. She is part of Brazil’s National Network for Cell Therapy, and a member of the International Stem Cell Research Committee. Professor Pereira received a bachelor’s degree from Pontificia Universidade Católica in Rio de Janeiro, and a PhD in Biomedical Sciences from University of New York, Mount Sinai Graduate School.